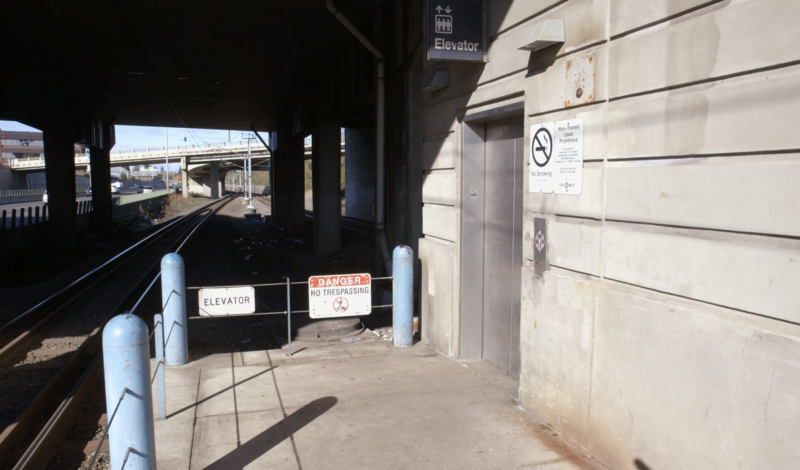 The elevator closure at the NE 60th Ave MAX Station that began Tuesday, Dec. 18, for additional improvements, will run through Tuesday, Jan. 15. The work, like the renovations made earlier this year, is part of a multi-year, $22 million project to keep our elevators safe and make them more reliable far into the future. As there is only one elevator between the platform and street level at this MAX station, riders who need to use an elevator must adjust their trips. We have directions around the closure posted at trimet.org/elevators. 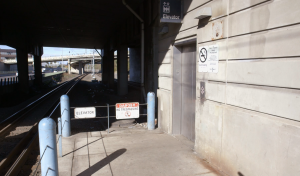 TriMet’s Rider Support team can help riders plan ahead for the elevator closure. The team can be reached 24 hours a day via text message at (503) 238-7433 and on Twitter at @trimethelp. They also are available for phone calls seven days a week between 7:30 a.m. and 5:30 p.m. at 503-238-RIDE (7433). 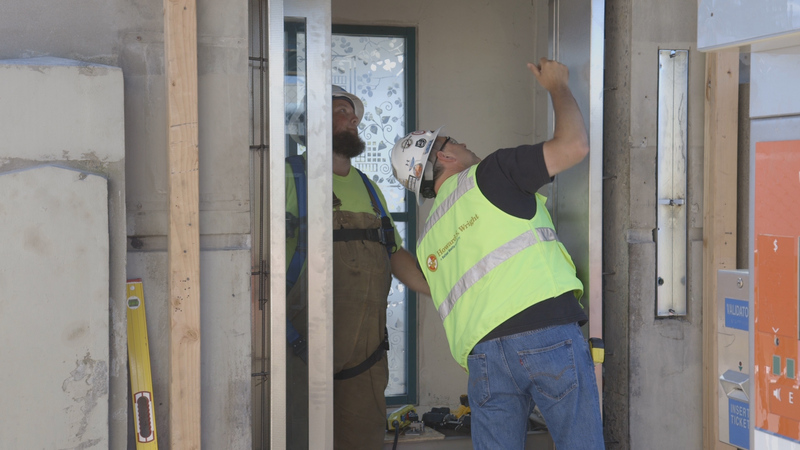 During the closure of the elevator at the NE 60th Ave Station, crews are installing a roof vent on the elevator building to improve air movement and help keep it cool during hot weather. We’re also increasing fire safety measures by adding heat detectors at each elevator landing, and doing other smaller touchups. We’ve already replaced all the components of the elevator cabs including electronics, mechanical and HVAC equipment, and the panels and doors. We just finished up improvements at the NE 82nd Ave Station elevator before crews moved on to the NE 60th Ave Station. After those renovations are made, we will begin work on the elevator at the Hollywood/NE 42nd Ave Transit Center later in January. The elevator improvements are part of TriMet’s commitment to make transit better. These three elevators have been running since MAX service began in 1986. They are heavily used as they are the only way to reach MAX trains other than taking the stairs. They are also outdoors and exposed to harsh weather elements. After work is completed on these elevators, we plan to upgrade three to five elevators at other stations each year in the coming years. It’s part of our efforts to improve the overall rider experience, with ongoing upgrades to vehicles, stations and tracks.